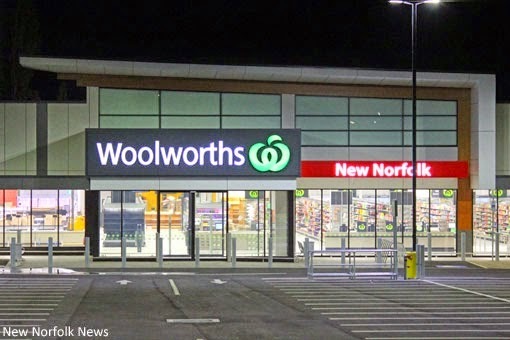 FAMILY, friends and customers are apparently welcome at a VIP night at the new Woolworths supermarket in New Norfolk tonight (Tuesday). The $17.5 million development will be officially opened at 8am tomorrow (Wednesday), but the doors will be open from 6pm tonight for celebrations starting at 6.15pm including donations to New Norfolk Primary School and New Norfolk High School. "Customers are welcome to join in all the opening festivities," a publicist told major media outlets yesterday. The store will be open from 7am to 10pm Monday to Sunday.